When you think of Brazil, restraint is not usually what comes to mind. So perhaps it’s appropriate that a request for education proposals issued from the South American country is drawing attention for its outsized nature. It’s a project worth a reported $2.73 billion in U.S. dollars, covering an array of content and services, one that has attracted bids from some of the biggest names in the K-12 industry, according to one recently published analysis. The Brazilian government’s education project calls for an estimated $5.5 billion in spending in Brazilian currency over 10 years—which amounts to about $273 million per year. To put that in some context, the Los Angeles Unified School District, the United States’ second-biggest school system, recently put out an RFP for computing devices worth about $50 million initially, and potentially $500 million over time. The project initially received interest from 30 organizations or consortia of them, says Heller, who prior to launching his current business was president of EdNET at MDR, a publisher of education news and analysis. That list has since been whittled down to nine bidders for the project, a couple of whom are affiliated with some of the biggest names in the education industry: 100% PROMO Marketing Promocional Ltda; Cassiano Zeferino e Carvalho Neto; College-Ensinos presenciais, online; interativos e multimídias; Dell Computadores do Brasil Ltda; Fundação Carlos Alberto Vanzolini; KPMG Structured Finance S/A; Pearson Education do Brasil Ltda; Planeta Educação, Gráfica e Editora Ltda; and Positivo Informática S/A. What’s unclear about the project is what happens now. It’s been roughly a year since the request for proposal was issued, Heller says. He quotes an unnamed official from one of the companies responding to the bid who speculates that Brazilian officials may not have been happy with the offers they received, which could explain why things appear to be at a standstill. An article in the Brazilian press from last year (for all of you Portuguese readers out there) quotes a teachers’ union leader as voicing concerns about the government hiring a private company to provide the various products and services. Regardless of the outcome, Heller suggests, the Brazilian RFP is a sign of the potentially lucrative market in Brazil for education companies from the United States and elsewhere, assuming, of course, that government officials are willing to do business with commercial vendors from abroad. 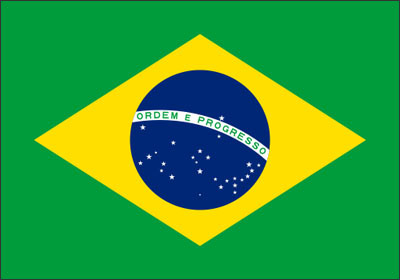 Brazil is a nation of more than 200 million people, the world’s 5th most populated. It would appear to be a ripe environment for educational services: Twenty-four percent of its population is 14 years old or younger; in the United States, the number is 20 percent. Heller points out that Brazil’s GDP is $2.5 trillion, greater than that of India and Russia, and that for the first time, the Brazilian Ministry of Education has recently called for bids for high school textbooks that are digital. It’s one slice of what appears to be a growing international market for K-12, overall. The global market for education stands at $4.4 trillion according to an estimate from IBIS Capital, which also projects that the need for e-learning will rise by more than 20 percent between now and 2017.